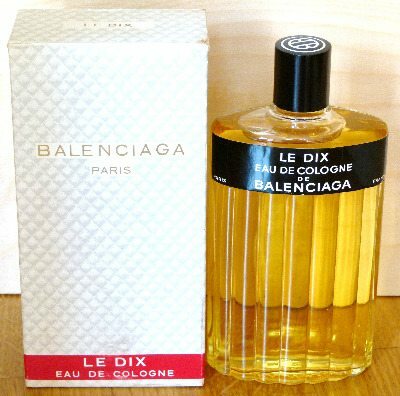 Le Dix was brought out by Balenciaga just when the French perfumery industry was getting back on its feet again. There were rumours of people fainting when they smelled it, so outragrously different was it from the florals, orientals and chypres of the early 20th century. Balenciaga fragrances have been relaunched recently. Here's a chance to compare the 1940s version with its modern namesake. As it's old, it's wise to avoid putting it on your skin. We don't know what's in it - still secret.